Hotel Casa Valdese, Rome. 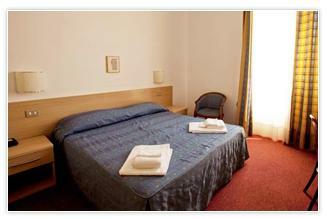 Casa Valdese Hotel Rome. The Hotel Casa Valdese is the ideal destination for your next travel to the capital: Do you come for business or pleasure trip? Here you can find the perfect ambience for you: welcome, class, every kind of comfort, central situation near the Vatican, in the tranquil and calm Prati district, which will give you restful moments inside one of the most characteristic and beautiful areas of the city. The Hotel offers every kind of equipment: from the care of the rooms, real haven of peace where there are several comforts and amenities, to the restaurant all to enjoy and taste. The hotel proposes the best traditional Italian dishes with daily menus, where you can taste these delicious Italian or International dishes, in order to meet the requirement of our international clientele. It is not all. In addition to a splendid terrace located on the 4th floor, where among tables and chairs you can enjoy fresh air during the summer and of course stunning views over the city and Vatican; the structure places at your disposal a multimedia room furnished with internet, satellite TV, newspaper, as well as also a meeting room that can receive up to 20 people. The cordiality, optimal services and professionalism of our staff complete the offer of this unique 3-star structure in the heart of Rome.